On your big day the last thing you should worry about is your nail polish chipping, right? A regular manicure lasts a week, if you make it out of the salon without smudging it. Shellac and gel manicures last up to two weeks and are done just like a regular manicure. In Shellac and gel manicures, a coat of colored “gel” nail polish is applied. After each coat, you put your hands under a UV light to cure the gel. You will have a base coat and two coats of the color, and finish off with the top coat. After the last blast of UV light, your nails are DRY! There is no waiting under a fan and no chance of smudging them when you are digging through your purse for your money or keys. You could get your nails done a week before your wedding and not have to worry about chipping them or the polish dulling. 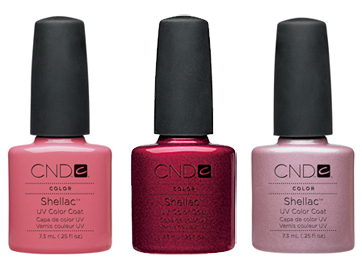 Once you go shellac you never go back! Get a Shellac manicure and have one less thing to worry about before the big day.